There is an expansion in the perspective of practicing medicine from a disease-centered framework to a patient-centered approach. This movement is anchored on the tenets of Functional Medicine, a model that determines how and why illness occurs and restores health by addressing the root cause of disease and seeing how the body responds to the environment and lifestyle. This 21st-century medical viewpoint arms practitioners with tools to take on the burden of disease and manage the health of their patients. In the Southeast Asian region, the Philippines is leading the way in Functional Medicine, which is becoming a recognized practice in the country. Last year, the LifeScience Institute (LSI) conducted the Advancing Functional Medicine (AFM) Conference, the first of its kind in the region. More than 240 delegates from the US, Malaysia, Indonesia, Thailand, India, Singapore, and the Philippines attended the two-day conference, which brought to fore the role of Functional Medicine in addressing complex chronic diseases and noncommunicable diseases (NCDs). 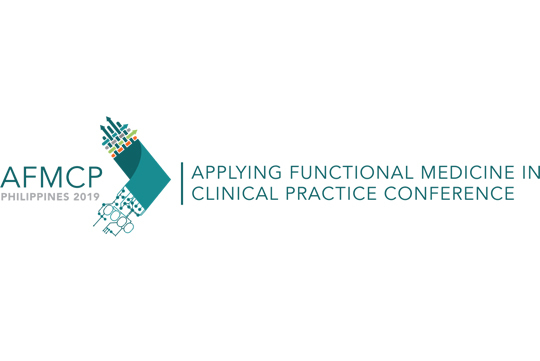 This year, LSI once again sets out to advance Functional Medicine education with the Applying Functional Medicine in Clinical Practice (AFMCP) Conference that will take place from April 29 to May 4 at the Manila Marriott Hotel. This is the first AFMCP Conference in Southeast Asia. The AFMCP Conference is a five-day extensive training program. It will take practitioners through a deep-dive into the leading-edge advancements and research across the field of chronic disease as they relate to the following: 1) biochemical and physiologic interconnections of the gastrointestinal tract, 2) immune system, 3) hormone and signaling system, 4) biotransformation and elimination processes (detox), 5) cardiovascular and metabolic function, and 6) mitochondrial health. Attendees will also learn the Functional Medicine model of assessment and intervention. Moreover, the courses and training at the event will equip them with practical tools to prescribe personalized treatments in today’s 21st-century medicine landscape. LSI continues to partner with the Institute for Functional Medicine (IFM) for this event, which comes at an auspicious time as the demand for Functional Medicine practitioners is growing at a rapid pace. In 2018, there were over 1.6 million visits to IFM’s Find A Practitioner (FAP) database. As of November last year, there are 983 IFM-Certified Practitioners, and 1,900 IFM Certification candidates worldwide. In Southeast Asia, there are only six who are certified by the IFM – four are from the Philippines, of which three are practicing under LifeScience Center. The AFMCP sets off the Functional Medicine practice of any practitioner who wishes to practice this medical approach. The conference is offered in different cities around the world. The workshop fee ranges from $2,330 without accommodations to as much as $4,000. Here in the Philippines, LSI is offering it a competitive rate of $1,050 without accommodations and $2,150 inclusive of accommodations. Should you wish to sign up for AFMCP, you may contact LSI at +63 917 829 7075, email [email protected] or visit www.lsi-sea.org.